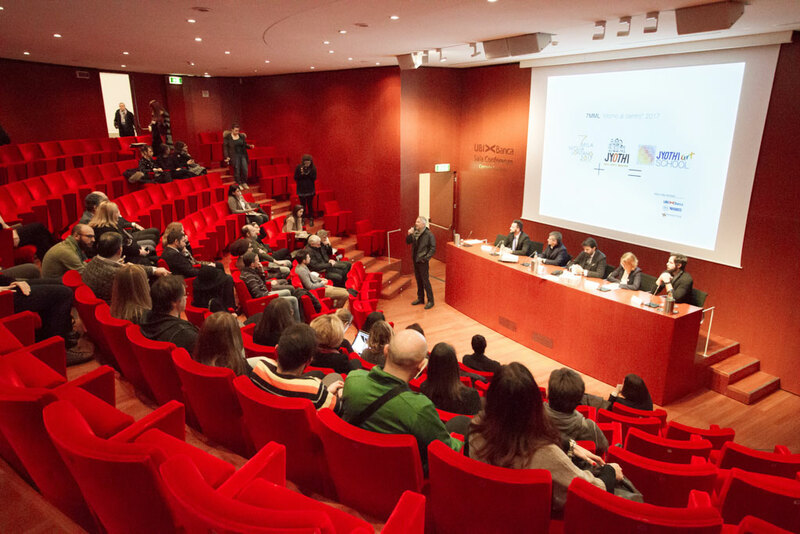 The new project by the cultural association 7MILAMIGLIALONTANO kicked off. Seven crews, seven different vehicles, seven distinct routes … with only one goal: reach the South of India and lay the foundation for the construction of a Fine Arts school. Among the technical partners, there is also GIVI: we could not miss out on the opportunity to closely follow this extraordinary adventure. Travelling not only for the sheer pleasure of adventure. Travelling with the intention to realize something that will leave a mark through time. 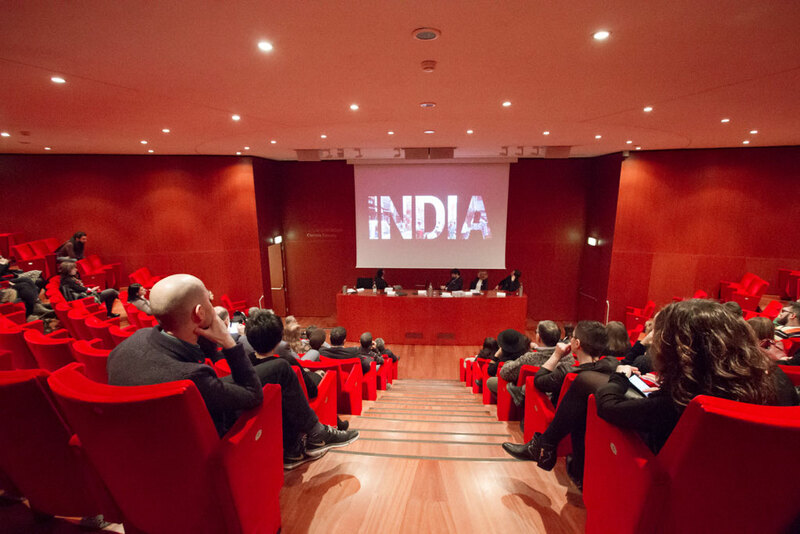 This is the idea, simple but practical, of the group who has chosen to bring to India its experience and that of the partners in this project in order to develop young talents, in a country where the study of art is still the prerogative of a privileged few. The seven crews will leave at a short distance from each other, within a couple of months. The first group hit the road on the 1st of March, the fixed date for the final one is on the 9th of June. The Indian city of Kannur, in the Indian state of Kerala, represents the arrival point, set for all teams on the 17th of July 2017. In the first phase the real protagonist is going to be “the journey.” Around it a major photographic book and an actual film will be produced. These supports, alongside the fundraising, will help finance the purchase of the land and the construction of the school. Off-road cars, motorcycles, mountain bikes, public transport, marine transport, walking and Ape car: here is how and by what means the 7 crews will travel, all followed by photographers and video makers who will work together on the association 7MILAMIGLIALONTANO’s big goal. The crew on foot, with a relay route, has left on the 1st of March 2017. ON FOOT – 1st of March. What better experience than walking can allow us to find ourselves? Walking is a spiritual exercise as well as physical. It is a unique way to get in tune with our surroundings, with the people you meet. Especially in a country like India, the historical home of pilgrims and travellers in search of themselves and an evocative place of piety made of slowness, meditation and sobriety. An incredible journey that will cross China from across Nepal, India, Kashmir, Rajasthan and neighboring regions with Pakistan. It then continues down along the west coast, passing through the cities of Mumbai (the former Bombay) and Goa (city with a Portuguese atmosphere for almost half a millennium) until the state of Kerala. The wheels will stop turning just after reaching Kannur. BY MARINE TRANSPORT – 15th of April. An itinerary by sea. With the excitement of departures and landings, of stops in small and large ports. The charm of sailing along more or less unknown waters, at least from this point of view: Australia, Guinea, the Philippines, Indonesia … and all the Indian East Coast. Return to the “center”, navigating to a destination that is also a dream that demands to be realized, is like travelling to return home. A long path that, starting from Italy, takes the liberty to trace back to Norway, passing from the North Cape, crossing Russia lengthwise and going back down through Iran and Pakistan, to India. A nice drive, no doubt about it, and taken the long way around. The photographic equipment does not weigh if transported in the trunk and allows you to always have the best and necessary means for shooting and filming. The collected images during thousands of kilometers, will be interesting, beautiful and extraordinary, we are sure. BY PUBLIC TRANSPORTATION – 9th of May. Whoever travels with a specific destination in mind usually tends to take on the intransigent attitude. This does not permit deviations or unexpected stops and, in general, picks the most appropriate means to achieve the goal as fast as possible. It is not the case with this path, where yes, the goal and the date of the achievement are accurate … but not the itinerary and the means to achieve it. The path, in this case, is a framework to interpret. The journey relies on public transportation to travel at least 1,500 km per week, and must therefore contemplate the unexpected, bow to necessity, seize the opportunity. BY PIAGGIO APE CAR – 4th of June. Why take a thousand kilometres journey on three wheels, in a country where this medium is typically used for short distances, such as taxis or as a means of transport in the city? Why deal with hours of dilapidated road at a speed slightly greater than that of a bicycle? The answer is simple: follow a dream that has been hidden within us since childhood. Travelling by Ape Car is a serious matter: it means finding, as adults, the seriousness that we, as children, used to put in games. What could be more intriguing than a challenge that stretches for more than 13,000 km and forces you to straddle a motorcycle for over 40 days? A challenge already accomplished by 7MML in his first edition in 2009, but covered in reverse. Back then it was from Mysore to Italy, in 2017 it will be from Italy in Kannur. Among all the trips this is perhaps the one that best represents the desire and the spirit of the “return to center”, closing the circle after eight years. The team is composed by three riders from Brescia, members of the Motoclub Leonessa d’Italia 1903. Claudio Poli, born in 1958 is fond of travels and mountaineering. He has discovered the motorcycle late, but has wasted no time in scoring a number of rides around the world. Claudio will ride a Honda Africa Twin. Giacomo Tognoli, 63 years old, also loves mountains and practices climbing. He’s been riding for fifteen years, initially spent this time travelling along European roads, then going south to Dakar, Senegal, and east to Ulan Bator, Mongolia. A great enthusiast … who could not remain indifferent to the initiative of 7MMML. 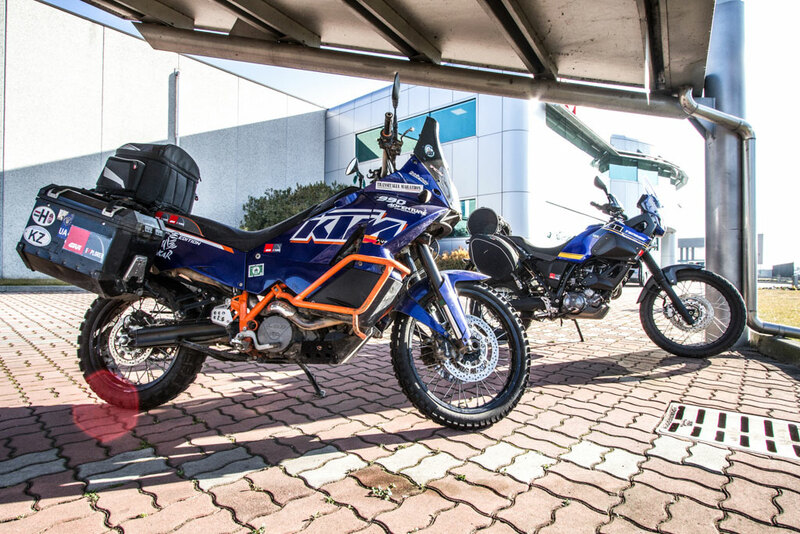 Giacomo will travel on board of a KTM 990 Adventure. Marco Varini, 61 years old is the “veteran” of the group: he’s been riding since he was 14 years old. Today he’s a full-time motorcycle-traveller with dozens and dozens of long raids behind him (those in Africa alone are about 20). Enduro trained, he will travel the route from Brescia to Kannur with a Yamaha Ténéré XT660Z. 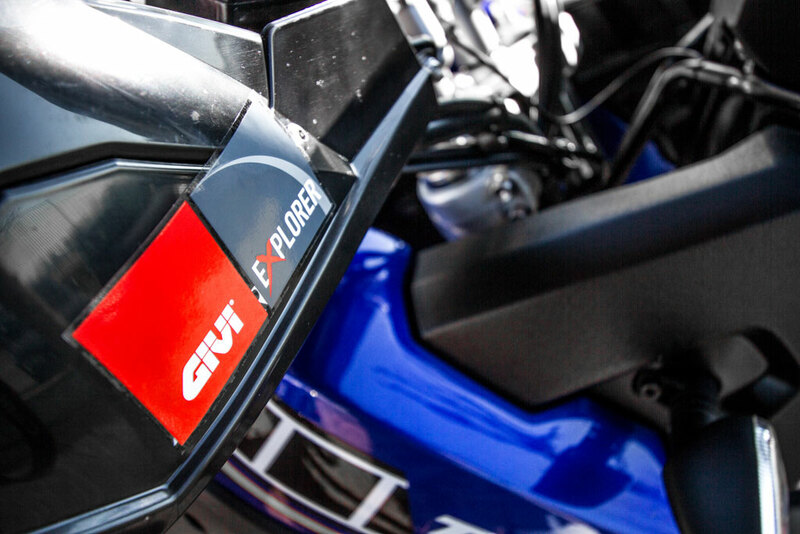 The three bikes will be equipped with “long distance” GIVI accessories. The technical apparel will feature GIVI and HEVIK brands.